Donna Catherine Shinn, 79, of Spring Meade Health Care Center, Tipp City, Ohio, formerly of 430 Edgewood St., Sidney, Ohio, died at the Spring Meade Health Care Center of Saturday, October 22, 2005 at 1:45 PM of lung cancer. She was born June 9, 1926 in Columbus, Ohio the daughter of Daniel Earl and Catherine (Lloyd) Van Ness. She moved to Sidney in 1954. She was married December 27, 1947 to John L. Shinn and he died in February of 1992. Surviving are five children, John L. Shinn Jr. and wife Barbara of Tampa, Florida; Catherine Poling and husband Cliff of West Milton, Ohio; Jennifer S. Bacon and husband Robert of Destin, Florida; Elizabeth T. Shinn of Beavercreek, Ohio and Daniel L. Shinn of Mountain View, California; five grandchildren, Alexis C. Papa, Robert C. Bacon, Jennifer E. Lee, Andrea C. Poling and Leah B. Poling and two great-grandchildren, Emily G. Bacon and Catherine E. Papa; two brothers, Talbott Van Ness of Florida and Daniel T. Van Ness of Ohio and several nieces and nephews. One sister, Woonsin Gibbs is deceased. Mrs. Shinn attended Stephens College in Missouri for two years. She was on the Library Board at Amos Memorial Public Library; also on the boards of the Sidney Mental Health, Juvenile Probation Office - tutoring, Group Home for Boys and the Dorothy Love Retirement Community. 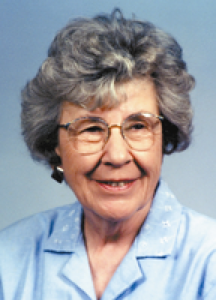 She was a lifelong music lover and organist and loved to quilt. She had worked in recent years for the Spot Catering, Sidney, Ohio. At her request, her body was donated to the Wright State Medical School, Dayton, Ohio. A Celebration of Life memorial service will be held on Saturday, October 29, 2005 at 4:00 PM at Salm-McGill and Tangeman Funeral Home with Rev. Ed Ellis officiating. Friends may call at the funeral home on Saturday from 2-4 PM to pay their respects to the family. Memorial contributions may be made to Dorothy Love Retirement Community, 3003 W. Cisco Rd., Sidney, Ohio 45365 or Hospice of Miami County, Wayne Ave., P.O. Box 502, Troy, Ohio 45373.